Welcome to Achavari Natura in Acharavi. The hotel is located directly at the sandy/pebble stone beach. 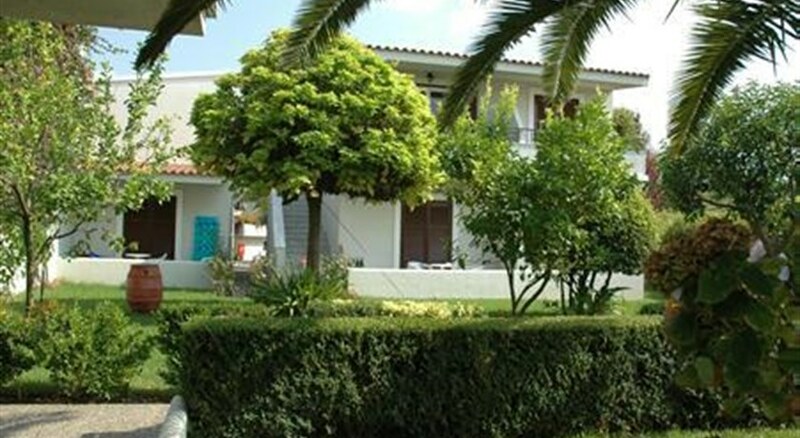 The closest city to the hotel is Corfu (38 km). To make your stay more comfortable a mini market, a reception and a lobby are available. A playground for children is available. The hotel features a fresh water swimming pool with a separate children's pool. Sunshades and sunbeds are available for an additional fee at the beach and free of charge at the pool. Accessible from the hotel: city centre (800 m), disco (800 m) and Airport (39 km). The hotel is within easy reach of bus stops, tourist information and bars and restaurants. For your entertainment the hotel features a TV lounge.